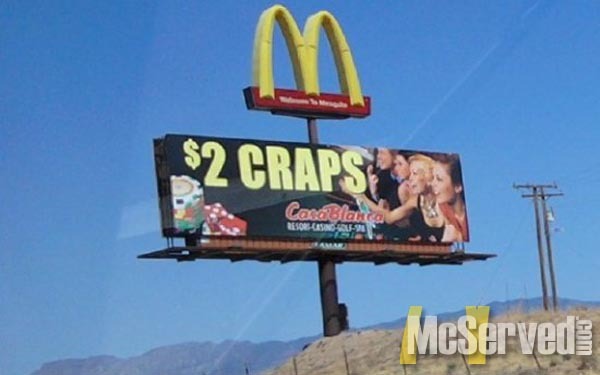 NOW SERVING $2 CRAPS | McServed: Getting Served McDonalds Fast Food Funnies, Laughs and More! Freudian billboard slip or a clever ploy to get us craving both low rent gambling and a 20 piece nugget? Billboards, Picturestags: craps, las vegas, nevada.